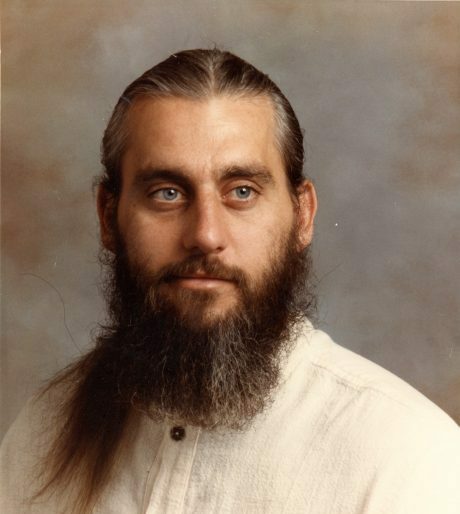 Dr. Vince Black was an amazing martial artist who developed and influenced several generations of outstanding martial arts and Chinese medicine practitioners. Vince’s teachings served as the basis, and measuring stick, for everything that came after. Vince was one of my most influential teachers. He set my feet firmly on the path that I have followed for the last 35 years. 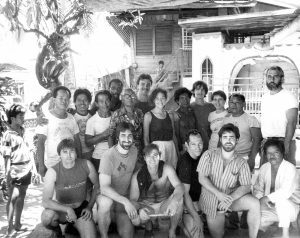 I first met Dr. Black in 1983, at a week-long instructor training camp in Filipino martial arts (Pekiti-Tirsia), run by Leo T. Gaje. I was assisting Tuhon Gaje, and Vince was attending the camp. 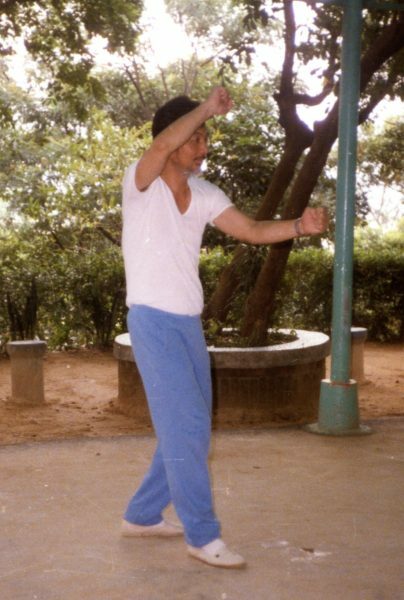 I did not really interact with Vince until the last day and night, when I found out that he taught Xing Yi Quan. I had seen Vince doing bone-setting on a few participants, and overheard him talking about Chinese medicine, which also piqued my interest. The final night of the camp I talked with Vince until four in the morning about Chinese medicine and the Chinese Internal Arts while he effortlessly threw me all over the hotel room. I was completely impressed with his abilities as a martial artist, his knowledge of Chinese arts, and Chinese medicine. From that moment on I began to study with Vince, mostly long distance, although there were times when I spent as long as six weeks with him. 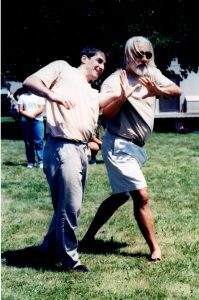 Vince was instrumental in developing my abilities in Xing Yi Quan and Ba Gua Zhang. Vince was one of the finest all-around martial artists I have ever seen. His ability to see something once and duplicate it with power and precision never ceased to amaze me. From Vince I learned not only the forms and training methods of Xing Yi and Ba Gua, but also how to look at forms and movements and decipher how they might be applied in a self-defense situation, or against different types of fighters. Vince had an amazing ability to look at a form and see the many possible martial applications of each movement. Vince was also that rare instructor who combines high level martial arts skills with first-rate traditional medicine skills. Vince studied with Xu Hong Ji (Hsu Hong Chi), himself a top student of Hong Yi Xiang (Hung I-Hsiang) in Taiwan. From Master Xu, Vince learned not only Xing Yi, but also Chinese medicine skills. Vince taught me Tui Na and bone-setting (Zheng Gu), as well as the basics of acupuncture, herbology, and trauma medicine (Gong Fu Sports Medicine of Die Da Medicine). Vince had a deep understanding of the connection between the internal martial arts and Chinese medicine, and his teaching reflects that connection. Many martial arts teachers talk about healing, but few walk the walk. Vince was an extraordinarily skillful and insightful practitioner of traditional Chinese medicine. He was adamant that instructors of martial arts should also learn Chinese medical skills. His example inspired me to go to acupuncture school, apprentice in Chinese herbology, open a clinic, and even take on apprentices. While training with Vince in San Diego, he invited me to observe a Kajukenbo class. He had recently begun to teach this art again after a hiatus of several years. I was a bit awed and frankly afraid of the fairly intense training method – medicine balls thrown full force onto stomachs and techniques executed with fast and brutal power – but at the same time I was drawn to practicality of Kajukenbo and its overlap with Filipino arts. 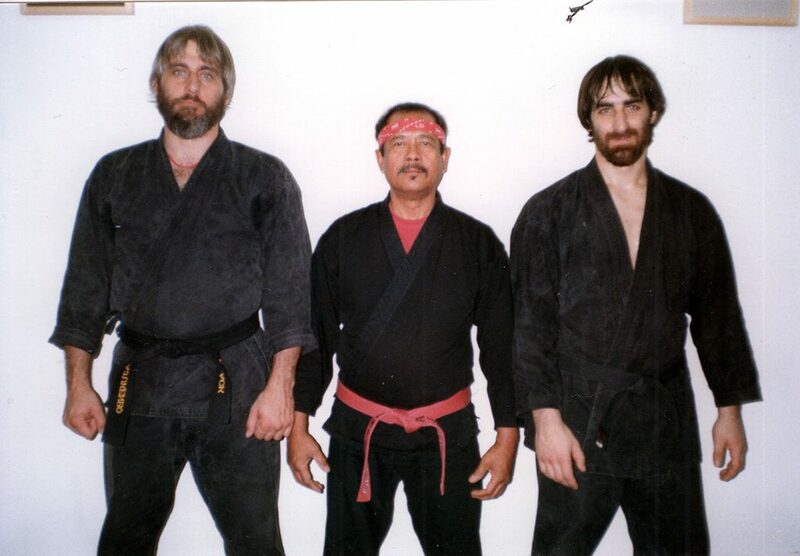 I began training the next day, and eventually became a Black Belt instructor under Vince. 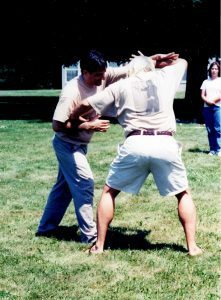 The style of Kajukenbo we practiced was called by some the “Old Hard Style.” When Vince gave me the opportunity to train with Sijo Adriano Emperado, one of the founders of the art, I could see the close relationship of our training methods to some of Sijo Emperado’s personal techniques and expression of Kajukenbo. Vince came to NYC numerous times to teach myself and my students. He was a very influential teacher for many of the New York area students and inspired some of them to go on and study traditional Chinese medicine. Vince and I also trained together with Fu Shu Yun in Ba Gua and Xing Yi, both in New Jersey and New York City. At times, Vince and I collaborated on learning from different teachers, like Wang Shi Tong and Zhang Hua Sen, cataloguing, reviewing and organizing what we had learned from these masters into a teaching curriculum. Vince also accompanied me to train with Filemon “Momoy” Canete in Old Style Doce Pares, now often known as San Miguel Eskrima. Vince’s invaluable insights into Master Canete’s movements and footwork helped improve my understanding of Eskrima. Dr. Black founded North American Tang Shou Tao (NATSTA), an organization which has promoted, and will continue to promote his legacy and vision of the Internal Arts and traditional Chinese medicine. I am just one of many who are in his debt. Vince is one of internal boxing’s greats, and we are all the poorer for his passing.